So my Linux install going messed up somehow and I was left with no wireless driver installed. 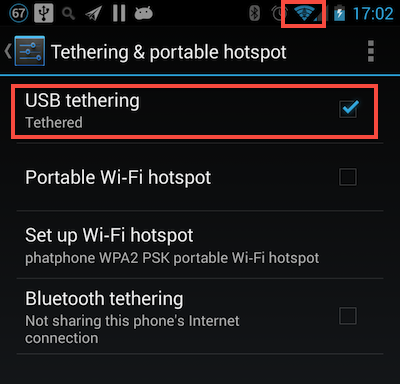 I know that you can use Android phones to USB tether mobile data (e.g. 3G/4G/LTE) but I didn’t know that you can do the same over WiFi! Now while in OSX I’m pretty sure it worked out of the box previously, it seems that you need now need to download the HoRNDIS driver. With Linux (Ubuntu) it worked out of the box and in my previous usage of USB tethering, Windows should work automatically as well.